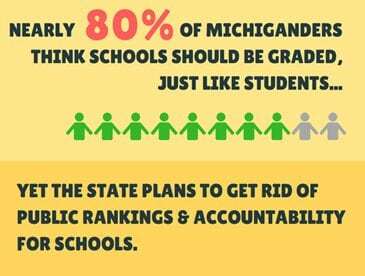 Little legislative action has materialized on public education during this lame-duck session. Instead, concerns over whether increased road funding will lead to fewer classroom dollars has dominated the state capitol’s conversation. SUPPORTING AND EVALUATING EDUCATORS: Conversations continued about Michigan’s first proposed statewide system of educator support and evaluation this past week. 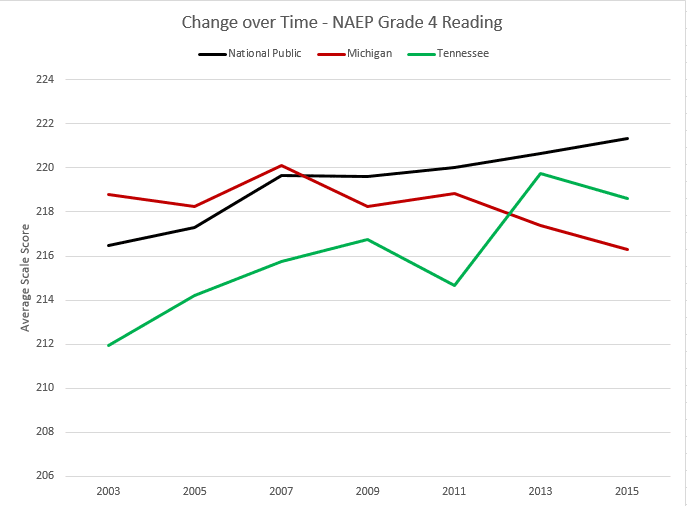 This type of system has been one of the major levers for school improvement in Tennessee, which is now the nation’s leading state for student growth in important subjects like fourth-grade reading. “EARLY WARNING” SYSTEM: Senate Bills 951–954 (Walker – R), SB 955 (Pappageorge – R) & SB 957 (Kahn – R), aiming to establish an “early warning” system for schools at risk of financial distress, passed the House Committee on Financial Liability Reform on Thursday. The bills, which would permit the Department of Treasury to provide technical assistance and require additional reporting, among other things, in an effort to help districts before they post a deficit, now await action of the full House of Representatives. OTHER HOT TOPICS: Other major education topics, including A-F school accountability, will likely not be resolved this session.